Scroll down to Submission Type >> select Online >> Under online Entry Options select File Uploads. 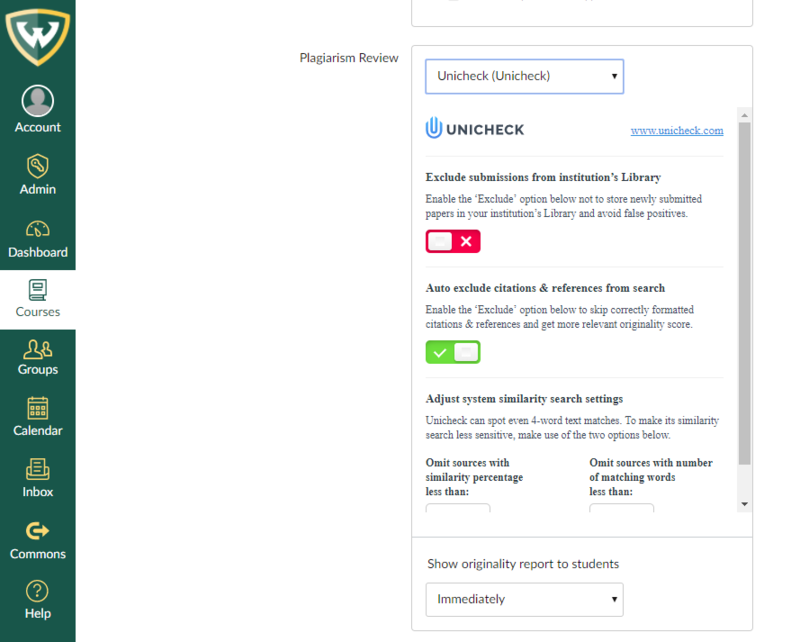 Scroll down to Plagiarism Review and select Unicheck. Click Save & Publish at the bottom of the page.